Ajanta Caves Complex | Flickr - Photo Sharing! 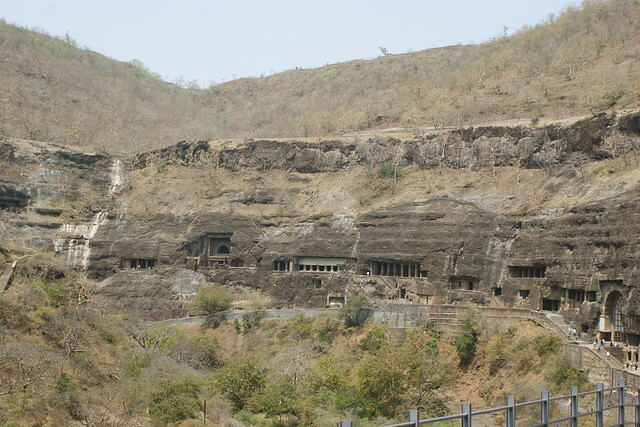 The famous Buddhist caves at Ajanta, Maharashtra, India. cuddles2@xtra.co.nz, harpalgill2000, and 11 other people added this photo to their favorites. What happened to the lush green jungle I saw from this picture three years earlier? I took this picture in March so there had been no rainfall for at least six months. Apparently, the best time to visit if you you want to see Ajanta in all its lush greeness is August or September towards the end of the monsoon season. Reminiscent of Puebloans and Anasazi . . .but very distinct. There's much more at Flickr and in an email I was sent but don't know how to post it here.